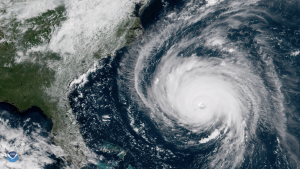 Businesses in the Carolinas were feeling the effects of Hurricane Florence long before the storm’s expected arrival. And those businesses will continue to weather the fallout long after winds have died down. “Right before the thing comes to shore you get a lot of pre-positioning” of goods in high demand for storm preparation, Griffis said, like plywood and other supplies to protect homes and businesses. “The other thing that often happens in these areas is, a lot of the manufacturing base that might be at risk would be trying to get things out of the way of the storm,” such as cars just off the assembly line. 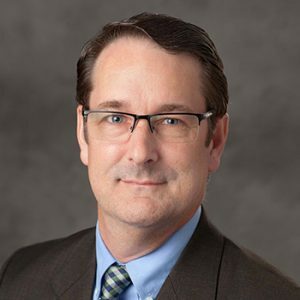 Griffis, who teaches for the top-ranked Department of Supply Chain Management, said many of today’s businesses rely on a “lean” model, in which factories have raw materials coming from far-flung suppliers; retailers rely on “just in time” goods that are delivered just before being sold, and neither has much excess capacity. “Now, you’ve got all of those things that would have gone through that port over the course of a week and a half that aren’t coming or going, so things pile up at the port waiting to leave, and things pile up” out at sea, on ships unable to dock at the port. “It will be weeks before that gets back to a normal operating tempo, where things are coming and going on schedule,” Griffis said. 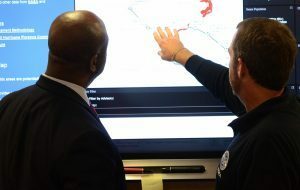 “There’s a lot of urgent planning that everybody has to do, that moves anything into or out of these areas or produces anything in these areas,” Griffis said. Corporations try to manage supply chain disruptions by setting up real-time command centers nicknamed “war rooms,” Griffis said. Of some notoriety is the war room of Waffle House, the regional restaurant chain. “Waffle House is known to continue to operate as long as they can … and a FEMA (the Federal Emergency Management Agency) administrator in 2011 commented that if FEMA sees that a Waffle House in an area has shut down, we know that’s an area that’s been particularly hard hit,” Griffis said. “It has been called the ‘Waffle House Index’” to measure a storm’s immediate impact. Africa is on the rise to becoming an economic powerhouse, like China and India before it. With the new Tax Cuts and Jobs Act (TCJA), both individuals and businesses will be affected by new tax code changes.